Mumbai, September 1: Knowledge is a combination of facts and concepts. Facts are not concepts. 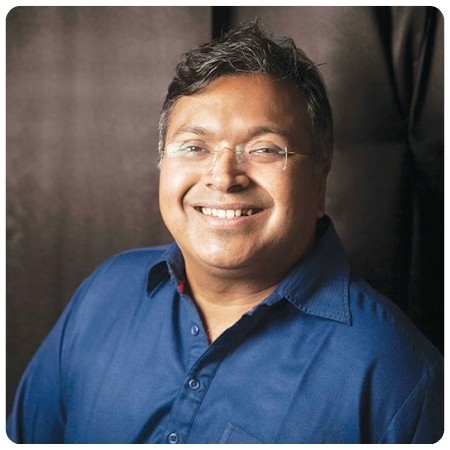 You can measure a fact, not a concept says one of the best authors Devdutt Pattanaik who is known for his or fictional work and interpretations of ancient Indian scriptures. He has incorporated myth into human resource management. Pattanaik launched a book named as Olympus: An Indian Retelling of the Greek Myths. Olympus is the home of the Greek gods, much like Amravati of the Hindu devas. • Zeus, leader of Olympians, wields a thunderbolt like Indra and rides an eagle like Vishnu. • The feats of the Greek hero Heracles, known to Romans as Hercules, reminded many of Krishna, as did his name, ‘Hari-kula-esha’ or lord of the Hari clan. • The Greek epic of a husband sailing across the sea with a thousand ships to bring his wife, Helen, back from Troy seems strikingly similar to the story of Ram rescuing Sita from Lanka. Is there a connection between Greek and Hindu mythology then? Does it have something to do with a common Indo-European root? Or maybe an exchange of ideas in the centuries that followed the arrival of Alexander the Great, when Greek emissaries travelled to the kingdoms of Mathura and Magadha? In this book, mythologist Devdutt Pattanaik turns his attention to ancient Greek tales and explores a new world of stories. Long have Europeans and Americans retold Indic mythologies. It is time for Indians to reverse the gaze.